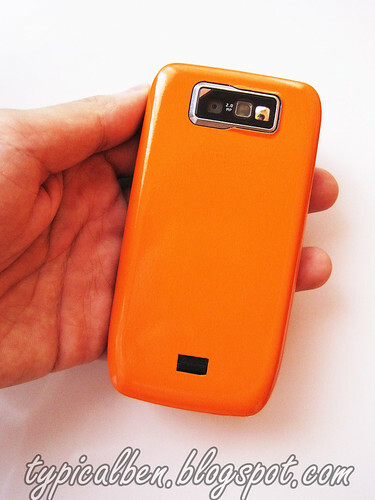 My new phone, in orange! So few weeks back, I decided to get myself a new phone! It's like, I'm kinda sick of my icecream phone already though I only used it for afew months. And it's also going alittle bit of cranky as it will frequently auto restart the whole phone when I'm like texting halfway through. So good for a change! I then get a new phone! Although I always think that it's not really important to have that many functions for a phone (ie; wifi), cause the most important factor to me is that the phone must really look good and best of all if it's a flip phone! But it seems like there's no nice flip phones recently! 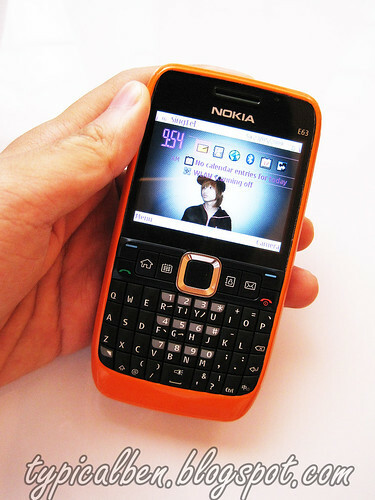 Change it to the colour that I always wanted my phone to be! Now my phone looks good and works well! Weeeeeeeeee! 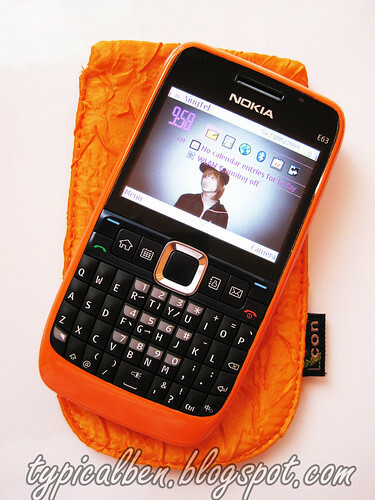 Orange phone with orange pouch! Muhahahahaha! Okay, going to watch Gossip Girl now! I wanna go shopping, I wanna go shopping! And yes, it's a shopping season now (cause GSS is here)! So if you are like me, having the urge to do some shopping, you should go do it now! Don't forget that you can shop online still! It's not like online stores doesn't have any cheap trills for you to grab still, cause they might have something for you people in conjunction with GSS! Thus, I bring your attention to The Stage Walk where they had just lunched many new pretty clothes few days back! One of their pretty dress in their latest collection! Oh yah! As I was mentioning about GSS earlier! The mailing of your items will be the following day upon payment received! Which is pretty efficient I would say! Random: One of their chio top. Also, you all can expect many different clothes to choose from, cause they will be launching new clothes every week!!! As their price are all relatively reasonable and pretty affordable too, you people may, or actually can get one or two stuff from them every time they launch their new collection!! Pamper yourself abit what!! And there's like so much for over at their site, so you should totally hop over there now to do some shopping! But waittttttttttttttttt! Another sweet stuff for you guys!!! Do state 'typicalben' in your orders (if you wanna hao lian and don't want the discount then don't state lor) and then you will be entitle to 5% discount from the total purchase you've made! Yay! p/s: Do also join their mailing list to receive the latest updates yah!